A too rare bit of public geography appeared in The Guardian last Saturday; in ‘The Strange World of Urban Exploration‘ writer, critic and Cambridge fellow Robert Macfarlane meets Oxford geographer Bradley Garrett to discuss his research on urban exploration and partake in some ‘recreational trespass in the built environment’. There’s a growing body of work on urban exploration in geography and related disciplines, and in their recently published Antipode paper ‘Not Everyone Has (the) Balls: Urban Exploration and the Persistence of Masculinist Geography‘ Carrie Mott (University of Kentucky) and Susan Roberts (University of Turku) engage with it, offering thoughts on the exclusions and marginalisations unaddressed in much of it. Looking at both popular and academic treatments of ‘urbex’, Carrie and Sue put feminist scholarship on embodiment and social difference to work to identify ‘a prevalent and largely unacknowledged culture of masculinism’. Their paper asks: Whose bodies explore? What counts as experience? What constitutes the exchange between body and place? And, with what effects? 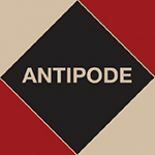 This entry was posted on 24 September 2013 by Antipode Editorial Office in Video Abstracts and tagged difference, embodiment, ethnography, heritage, masculinism, place hacking, ruins, the city, trespass, urban exploration, urban space, urbex.